I started out with an equipment failure ... broken headphones ... which almost left me in a grumpy mood. Fortunately I had a back-up set with me, plus the wireless headphones for the Multi-Kruzer and a set for my Racer 2. My intention was to hunt the site with one detector, then re-hunt the same gridded area with a couple of others. This is an almost vacant lot here in Vale, Oregon that has been kicking out more wheat-back cents than I care for. Up to 29 of them just this month and I've needed a break with more dated finds ... and that happened today. 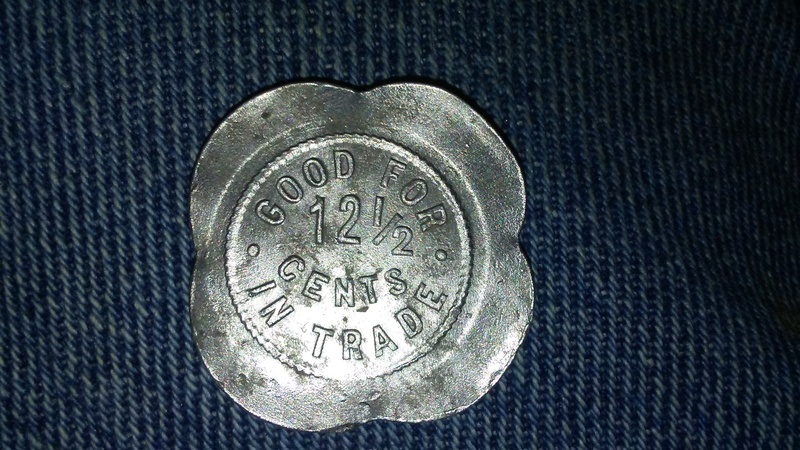 I was doing so well with the Racer 2 that I didn't make any detector swaps after another batch of early US wheat-back cents and one Trade Token. My first for the year and it's in decent shape. A 'maverick,' but it is listed in the Oregon Trade Token book as being from a tinier town of Brogan, just 25 miles north of here. 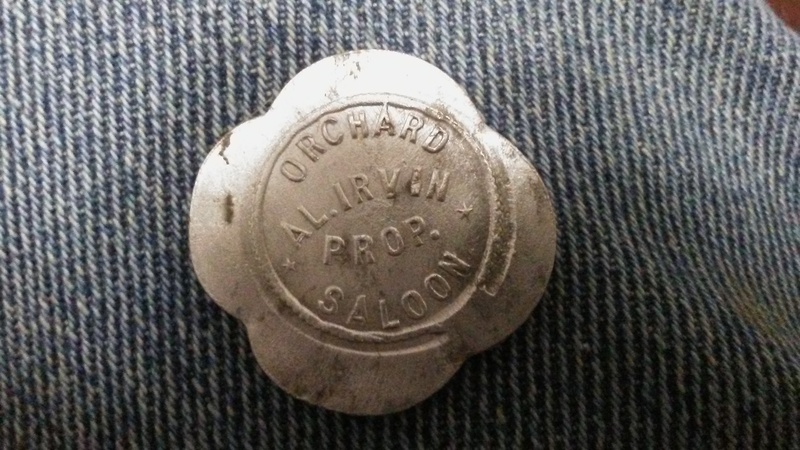 Always enjoy trade tokens, especially the more unique value specimens like this one bit Orchard Saloon token, GF 12½¢ IT. Racer 2 w/7" Concentric coil (my favorite to keep mounted full-time). Just search with a slow, methodical sweep with ample overlapping to patiently deal with a lot of trash, much of which is iron. Stormy weather for the coming week but I'll be ready to get out hunting again as soon as spring weather arrives full-time.